JAKARTA, Indonesia: A newly drilled, unregulated oil well in western Indonesia exploded into flames early Wednesday, burning to death 15 people and injuring dozens of others. 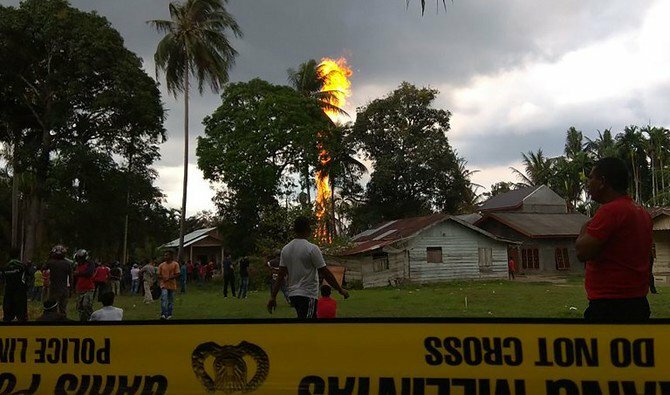 National Disaster Mitigation Agency spokesman Sutopo Purwo Nugroho said the well in Pasi Putih village in the east of Aceh province ignited 1.30am and is still burning. Five nearby houses were burned in the inferno. He said the well, drilled to a depth of about 250 meters, was gushing when it ignited and many people were around it trying to collect the oil. Syahrizal, an official at the area’s disaster agency, said 15 people had died and about 40 people were admitted to two hospitals.